San Juan selected as “Best in Travel” Top 10 Cities for 2018 by Lonely Planet. Puerto Rico’s capital, San Juan, has been showcased as one of Lonely Planet’s “Best in Travel” Top 10 Cities for 2018, a positive for a city that is still dealing with the aftermath of Hurricane María. To curate this highly anticipated collection of the world’s hottest destinations, Lonely Planet sends its writers and destination experts to venture off around the world and each year they report which destinations are offering travelers the best experience available. “San Juan is known for its enchanting and dynamic atmosphere, where colonial meets contemporary. 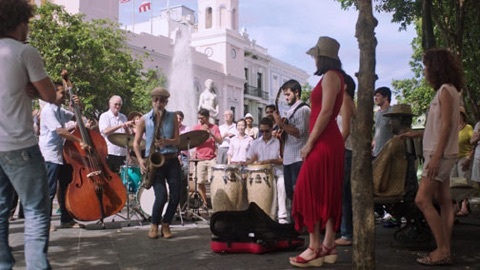 And, despite the obstacles the city has faced this past month, San Juan continues to be a place rich in natural beauty, culture and cuisine,” Lonely Planet stated. Old San Juan was hard-hit by the storm, and there are still dozens of shops in the dark, as power is restored slowly throughout the island. A full re-lighting is expected by year’s end, according to government authorities. “We are honored that our beloved city of San Juan is included in Lonely Planet’s Best in Travel 2018,” said José Izquierdo, executive director of the Puerto Rico Tourism Company. “What makes San Juan unique are our people and spirit of hospitality, which we’ve showcased more than ever this past month,” he said. “It’s this resiliency along with the commitment of our Gov. Ricardo Rosselló that is allowing us to rebuild an even stronger Puerto Rico and be ready to welcome visitors this holiday season,” Izquierdo said. The city is best known for its 16th century colonial history paired with its more contemporary areas full of some of the best cuisine offerings in the Caribbean. From cobblestone streets to award-winning beaches, the unrivaled spirit of Puerto Ricans is what keeps visitors returning and wanting more. Far down its rebuild phase, San Juan is already welcoming visitors, especially those interested in traveling with a purpose to help support Puerto Rico’s rebuilding efforts across the Island. “Keeping the traveler in mind, the reasons we named San Juan one of the best cities to visit in 2018 are still as strong as ever. Many local businesses and hotels are already reopening and we’re confident that this progress will continue steadily into the New Year,” Freeman said. Hey Buddy!, I found this information for you: "SJ in Lonely Planet’s ‘Best in Travel’ Top 10 Cities for ’18". Here is the website link: https://newsismybusiness.com/planets-travel-cities/. Thank you.